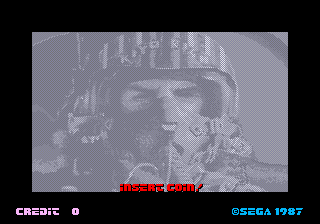 I'm delighted to bring you the first English translation of a piece of SEGA history from 1988. This interview with Yu Suzuki and Ryu presents a rare insight into the development of a number of classic AM2 titles. I'd like to thank Fabrizio Bartoloni for translating the article. I tried to cajole a number of people into helping, and he was the first to agree. I've adjusted some of the wording slightly, but the original translation and Japanese text can be found here. 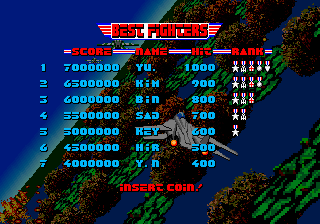 YU: I'm the one responsible for "YU" as a name entry [on the high score table] when you power up After Burner. 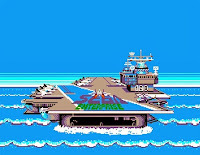 I've overseen the software coordination and planning of After Burner. I started my career with Hang On and then went on to create Space Harrier and Out Run. RYU: I'm RYU and in charge of growing the consumer office. So far I've worked on the Out Run conversion [to the Master System]. This is the second time I've converted a body experience¹ game, but as the hardware is different, recreating the original experience is cumbersome in my opinion. 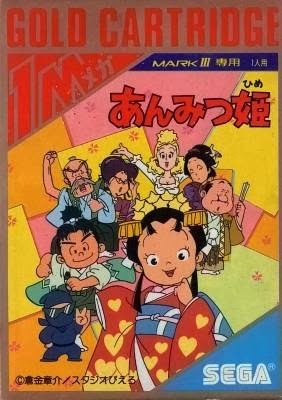 Additionally, I've also created characters for the Anmitsu Hime² series and other titles. ¹ 体感ゲーム is a game genre when your body is used to control the game (and may or may not receive some bodily feedback from it). 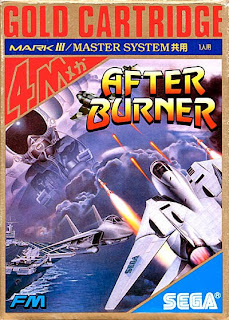 RYU: The features of the forthcoming Mark III After Burner conversion are made possible by the new 4 Megabit cartridges. Until now 1-2 Mb cartridges were common; 4 Mb is not an industry first, but with so much more space the graphics and action can be closer to the original. There aren't the 23 stages of the coin-op, but there are still 18 stages and the refuelling scene. The home version contents will be more or less the same. There will be differences, but I'm making the backgrounds and everything else to be as close as possible. 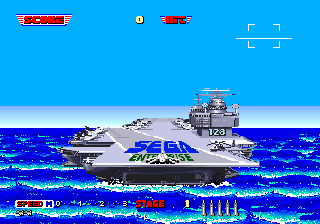 At first I thought converting After Burner would be easy. After Burner and Space Harrier use a similar system, but they should be better considered different challenges. I'm sorry I can't show you anything yet; we're already at the stage where something works on screen. Please keep your expectations high as this is the risky phase where I need to be at my best. It's like performing a somersault. I asked Yu to show me source code to help with the conversion and he told me to look at the original (laughs). 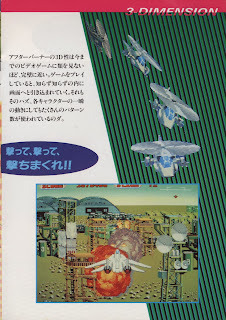 The Master System version will feature FM sound and the graphics are also an improvement on Space Harrier. 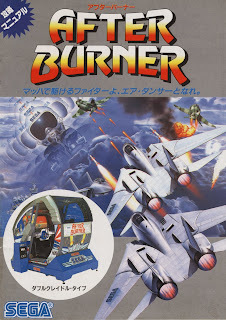 YU: The After Burner arcade project started around December 1986. Our way of working during the project was quite different from common practice. Usually you start with a plan, but instead we went ahead without having defined one. We started with the things I wanted to do, those that were interesting and already feasible. This approach is like having three possible paths ahead and you have to try all three of them to find the best. Such an approach is wasteful as you can find two of the choices prove useless. You often have to go back and fix problems and can't find the way forward. Therefore, in our case there was a written plan, albeit a hazy one. Planning continuously changes according to the situation you're facing. There was a movie called "Top Gun". I'd wanted to make a game with war planes before watching that movie. 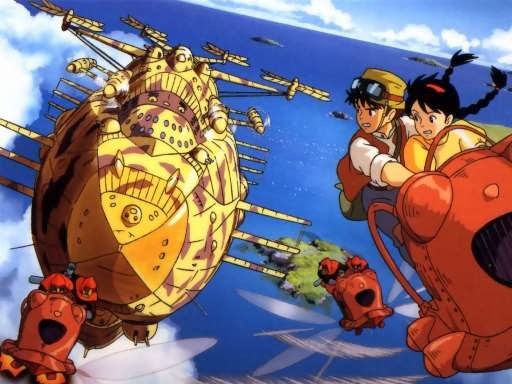 My initial inspiration was [the anime by Miyazaki] Laputa: Castle in the Sky. I'd thought about capturing that science fiction anime-like feeling. 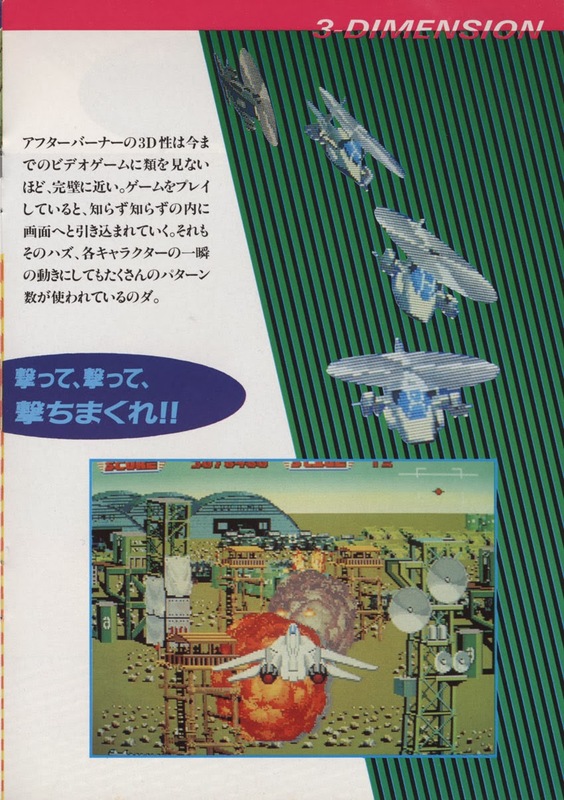 Anyway, as Sega's 'body experience' game wasn't intended solely for the Japanese market but was due to be exported to Europe, US and the rest of the world, it would need to be understood by an international audience. So I switched my plan and gave it the shape of a F-14. Americans seem to have a preference for realistic graphics on screen rather than Japanese anime-like fantasy worlds. Now Americans are developing a better understanding of Japanese fantasy though. Development costs are an extremely confidential matter, as might be expected. But if we were to make a comparison with ordinary game hardware which doesn't have to change that much, the costs are incomparably high. This is because there are few common components. 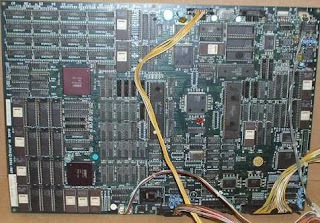 You have to change the PCB, mask rom, chassis and so on - all of them. It's a totally new thing, despite using some of the same concepts. It's technological innovation stacking up. 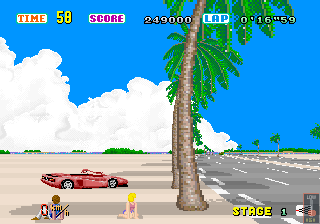 When Hang On was made, the background was almost empty, but since we've been using Out Run's new system we can say that games like Space Harrier and Hang On are totally different from a technical point of view. At first I wanted the scenery to be set between the Mediterranean area and the Soviet Union... but it went wrong (laughs). Although I wanted it to be like that. YU: You wouldn't have seen the Persian Gulf. Anyway, it would sell if America could beat the enemy side, just like Rocky¹ did. It's real scenery, and would tie together well. I have the big picture in my head. It would be set in Europe, including Italy and the pyramids. When we created Out Run I went to see the real thing. We don't have spare time like that now. I'm browsing issues of the oversees travel information magazine AB-Road. It costs just 300 yen (laughs). I'd like to make the backgrounds look as close as possible to the real ones. When it comes to the Soviet Union, it seems you have to abandon the idea of 16-bit machines. Apparently, it would be a violation of CoCom. [The embargo against Warsaw pact countries by US and some Western countries]. I wanted to depict the Kremlin building but in the end I gave up. This is due to the enormous variation and number of patterns which would be impossible to fit into memory. A spherical shape consists of merely one pattern, but here you must render a large number of cylinders. The landing scene is indeed big, but it exists on its own, so there is just one pattern in it. There were so many things I wanted to do, but they couldn't be done within the limits of development deadlines. For example, I wanted the pilot to be ejected from the aircraft with a parachute. For the end sequence, I also wanted the protagonist to carry the princess in his arms whilst flying the enemy plane. I think it's important to make the characters stand out. The protagonists of Space Harrier, Hang On and Out Run all stood out. 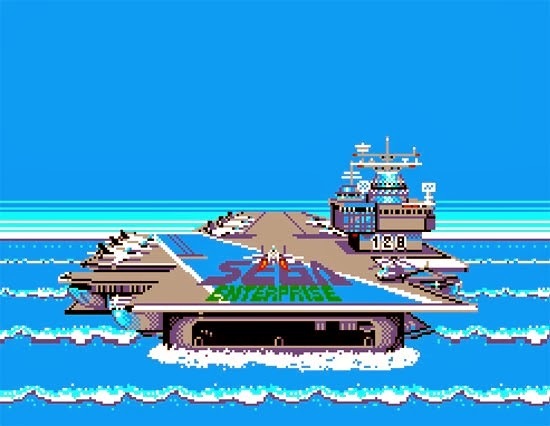 I'd like the same to happen with After Burner. 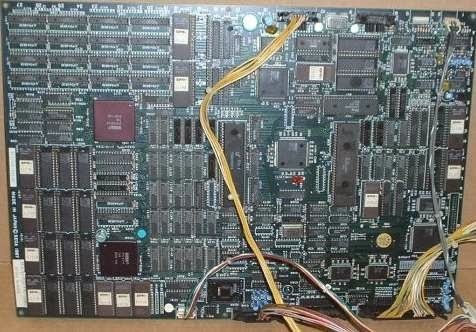 RYU: Despite the continuous advancement of console hardware for domestic use, there is still a huge gap compared to professional coin-op hardware. In the future, much will be said about narrowing this gap. YU: I want to work on body experience games from now onwards. I've been working on Hang On, Space Harrier, Out Run and After Burner, but to say it emphatically, they were all left half done. After Burner is roughly 60% done. I wanted to include a dogfight. Right now it's many versus one, there is no one-on-one. A fight of one versus a few strong enemies represents the real world. All of this is because of a lack of time and technical problems. The incomplete features will be implemented in upcoming games. Our goal is to make games, from the onset, as close to the real thing as possible. If you look at other driving games when an ordinary car bumps into another you sometimes see an explosion or big accident as a result. I've tried to make Out Run as close to the real world as possible. Although the game is not the real thing, I've added many ingenious solutions to make it work realistically. As much as you could expect from a game. My plan was to aim at what would have been probable in a realistic setting. I didn't want Out Run to feel ridiculous when compared with reality. 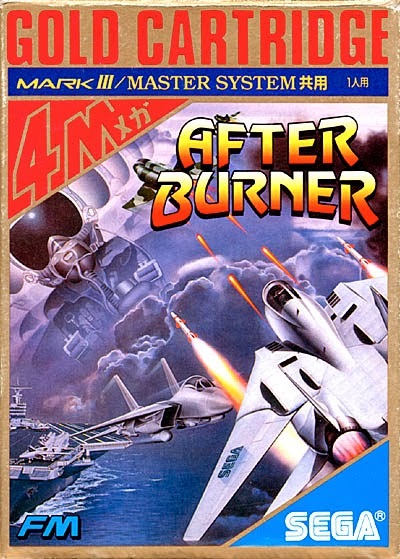 Even if After Burner and Outrun have some way to go before reaching their goals, trying to make them entirely flawless would result in enormous costs. It would be nice to be able to create a game without worrying about the cost though. For this reason, it's an exaggeration to call them simulations. But I'd like to get closer to reality. Very interesting read, especially the bit about how Yu was inspired by Castle in the Sky. And the ending bit about game completion rings true past time -- deadline and budget are a killer.